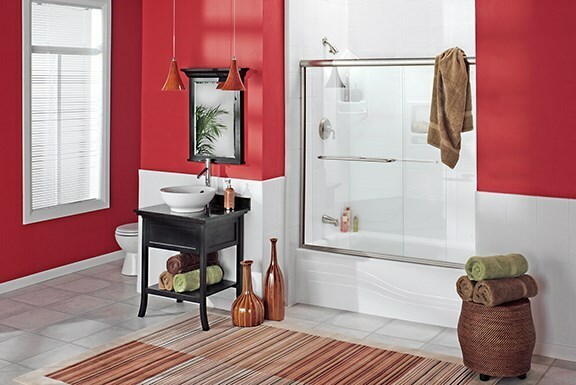 Take your bathroom look to the next level by choosing one of the exclusive design and color options from Luxury Bath. We offer an expansive selection of tile patterns and colors to make your bathroom remodeling project uniquely yours, with professional installation in north Texas and southwest Oklahoma. Choosing the bath and shower features you want in your home is only half the battle of completing a perfect bathroom remodel! To finish off the look and upgrade your bath to the ultimate in luxury, you can also pick a tile pattern or color palette from our extensive selection! You have options abound when it comes to choosing the colors and patterns for your new tub wall surround! At Luxury Bath Texoma we are known for innovative products and exceptional service, and these values extend to our extensive color options when choosing your acrylic tile replacement products! 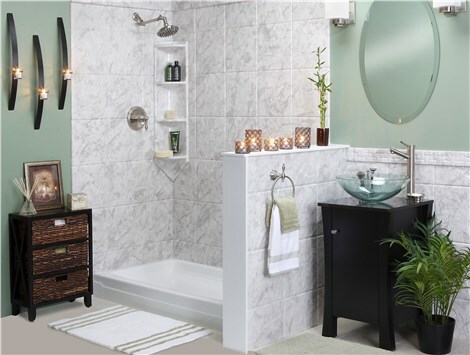 Luxury Bath Texoma specializes in providing our customers with bath and shower features capable of enhancing any size bathroom. From fully-accessible layouts to top of the line accessories, our expert installers can have your new bathroom ready for use in as little as two days! Replacement Showers – We offer a variety of replacement showers that are customized to the unique needs of your family and space. Whether you want a tub/shower combo or a fully customized home shower spa, Luxury Bath Texoma does it all! Replacement Bathtubs – If your bathtub is worn out or simply an eyesore, then it’s time to have Luxury Bath Texoma help you choose a product that fits your needs! All of our SimplyPure bathtubs are made from durable Microban acrylic and are designed to keep your bathwater warm up to four times longer than a traditional tub!